COLUMBIA, SC - JANUARY 11: Republican presidental hopeful and former Massachusetts Gov. 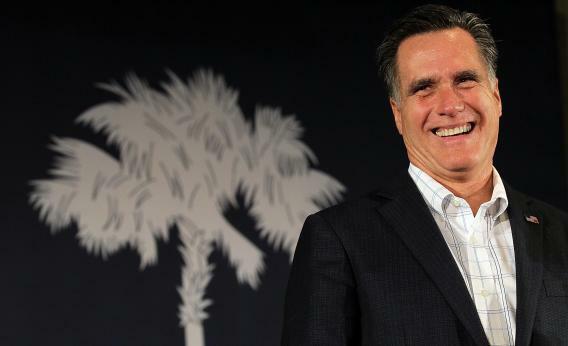 Mitt Romney speaks during a campaign rally at The Hall at Senate’s End on January 11, 2012 in Columbia, South Carolina. You know, I think it’s about envy. I think it’s about class warfare. When you have a President encouraging the idea of dividing America based on the 99 percent versus 1 percent—and those people who have been most successful will be in the 1 percent—you have opened up a whole new wave of approach in this country which is entirely inconsistent with the concept of one nation under God. The American people, I believe in the final analysis, will reject it. Of course there is envy in America, but there’s also spite. And I think you see some of it in Romney’s reply. He has a lot of money, personally. That money is very useful to him in a number of ways. It lets him consume more goods and services. It offers him security against the ups and downs in life. It lets him be assured that his kids will have a leg up in life. But over and above that, Romney seems to revel in the idea of being better than the lower orders of society and resists the leveling impulse even though it would in concrete terms leave him with plenty of money. Good times. But have they been good times? Well, no, in many ways they’ve been surprisingly bad times for a surprisingly large number of people. This is the real issue here. There’s a sense that a lot of us have that our public policy ought to be aiming to produce large gains for everyone. You often hear that for one reason or another the United States “can’t afford” this or that. We “can’t afford” to pay people Social Security benefits. We “can’t afford” to build high-speed trains. We “can’t afford” to give everyone early childhood education. But why can’t we afford this stuff? Are we a poor country? No, we’re not. We’re one of the richest countries that’s ever existed. Are we a poorer country than we used to be? No, we’re not. But a very large share of the gains we’ve made over the past three decades have gone to a relatively small number of people. If the gains had been broadly shared, then the burden of paying for that basic infrastructure and public services would have to be very broadly shared. But the gains have been very concentrated, and so if we’re going to afford that stuff, a large share of the revenue has to come from the people who’ve gotten the money.